Rosewill replacement toner cartridges are seamlessly compatible with genuine brand name printers, easy to install and available at economic prices. Our toners often meet or exceed page yield specifications compared to OEM brands. You are fully covered for up to 1 year (parts and labor limited warranty), whereas most genuine brands only offer a 90-day warranty. Rosewill Toner cartridges are engineered to meet the highest standard of quality, reliability and yield. 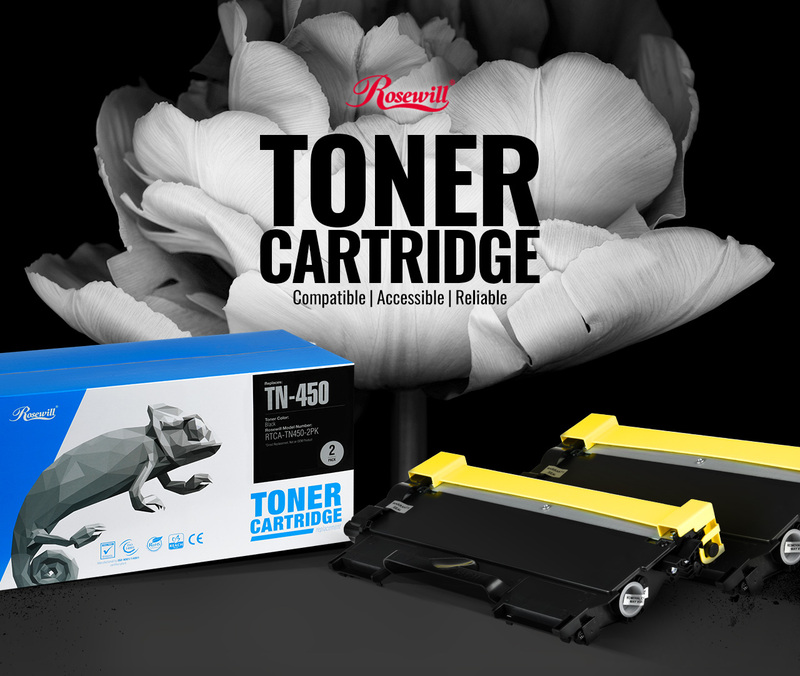 Rosewill is proud to offer replacement toners that meet or exceed OEM toner specifications for yield, output quality, and overall performance and offer great savings over OEM products. Buy the Rosewill toner cartridge with 100% confidence! Note: Yield information is an estimation based on 5% page coverage. Actual yield may vary depending on machine, paper type, humidity, and actual prints. Note: All the brand names and logos are registered trademarks of their respective owners.